All throughout this month, television and cable channels have been running kiddie Christmas cartoon specials. They are meant to entertain your tykes and elicit gentle waves of nostalgia from within your youthful heart. Some of these shows date back to the 1960s; some of them are more recent. All of them teach young ones a humanistic lesson in an animated manner. But what if you relate more to Scrooge (the pre-ghost visitation persona) than to Tiny Tim and his family? What if the thought of living in Pottersville rather than Bedford Falls is a more alluring proposition for you? I am here to alleviate your free-market high blood pressure with some rigorous rewriting of a beloved, animated Christmas tale you know so well! Grinch Incorporated has held its monopoly on the company town of Who-ville for so many years that every Who’s favorite color is green. Because Mr. Grinch now hears rumblings about the formation of a union (Amalgamated Who Workers United), he’s decided enough is enough. No more holiday slices of Who-Roast-Beast or drams of ThunderWho wine for each worker. Grinch meticulously plans to wipe all signs of Christmas off the map this year! His inside “bag dog,” Max, reluctantly harnesses up for a midnight rendezvous in town to retrieve the largest 1-800-GOT-JUNK removal bins available. Grinch then does his best anti-Santa imitation in years; he hoovers every edible and inedible Christmas accoutrement into his rented (by the 1/2 day), corrugated steel traps. All goes well until the last Who shack on the most dilapidated of Who-ville streets. When Grinch bobbles a sole tree ornament, wide-eyed Cindy-Lou Who wakes up and thinks she’s seeing Santy Claus pull a reverse Robin Hood. Smooth Mr. Grinch babbles explicit details about lead-based paint from China and product safety recalls to placate young Cindy-Lou. He then offers her a bottle of Grinch Inc. water and escorts Cindy-Lou back to bed. Mr. Grinch reunites with Max and skedaddles with the town’s entire Christmas stash, all contained within 15 economy-size removal bins. While his undocumented workers transport Who-ville’s earthly Christmas back to Mount Crumpit, Mr. Grinch gleefully awaits the sunrise. What happens next amazes both his business acumen and his cardiologist. The Whos of Who-ville join hands and start singing John Lennon’s “Happy Xmas (War Is Over);” Grinch has an epiphany that causes his heart to reverse its own atherosclerosis. Grinch now realizes Christmas isn’t about presents and merchandising – it’s all about being hooked on a feeling. He returns all pilfered Christmas items to the Who-ville residents and enjoys a splendid meal with them. 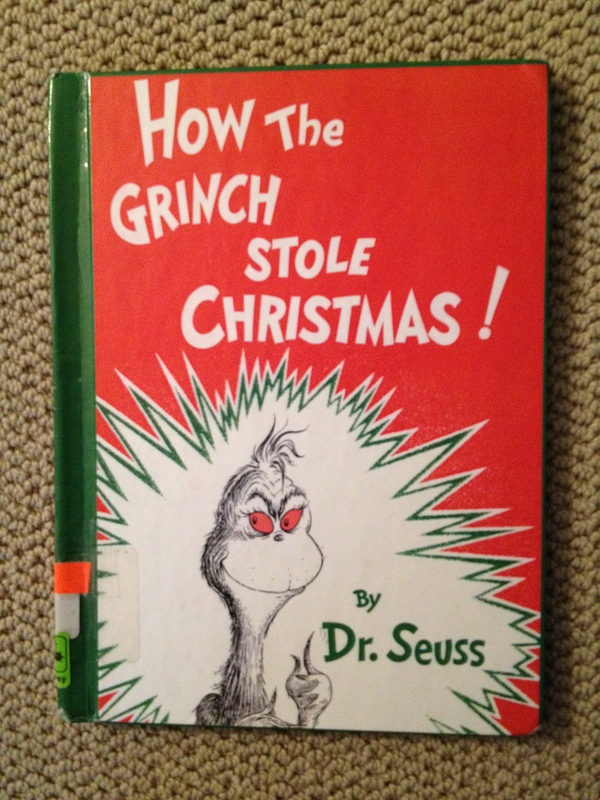 Mr. Grinch then renounces his obscene, corporate-capitalism ways. That very night, he departs for India to study meditation and Vinyasa yoga at the Sai Baba Ashram in Puttaparthi near Bangalore. Former “bag dog” Max distributes all company-held 401 K funds into individual pensions for each Who-ville worker. He then sends the town’s entire population to live in the newly incorporated village of Who-landia. Max razes Who-ville and begins construction of Zoo-ville, a Section 8 utopia for all abused, domesticated Who pets. THE END! Here’s wishing you all a Happy Hanukkah (yes, I know it’s over), Merry Christmas, Joyful Kwanzaa, and a rockin’ (but safe) New Year’s Eve!